Now you can attract new patients by giving workshops to people who suffer from the many chronic joint diseases like Osteoarthritis, Rheumatoid Arthritis, Bursitis, even Tendonitis and Gout. It also includes steps to help prevent joint diseases. How to educate viewers on what Arthritis is. Who is susceptible to Arthritis. The different types of Arthritis and their possible causes. 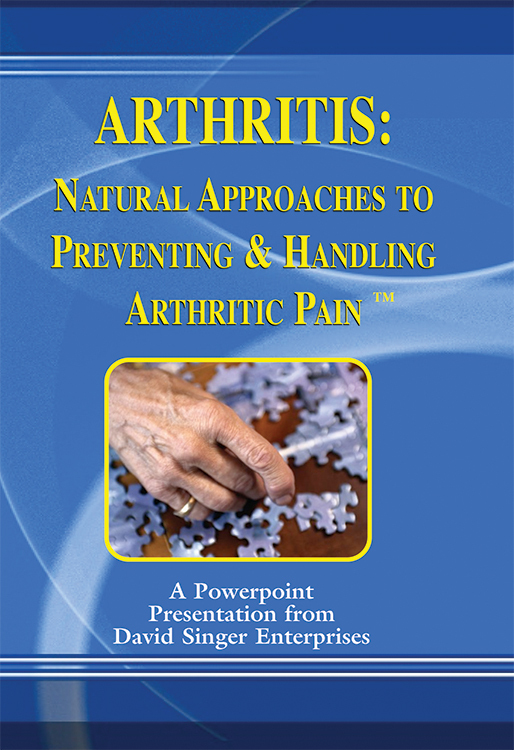 How to relieve Arthritis and joint diseases. Steps to help prevent joint diseases. This lecture is available at this price exclusively as a digital download. Upon payment you will receive a link to download your files. The link includes the slide show in .ppt (PC version), .key (Mac version) and .mp4 (for video playback). To place an order please call our Products Manager at (800)326-1797. The leading Chiropractic Consulting firm in the United States. Join us for a Live Seminar in your area or one of our weekly teleconferences to find out for yourself how we can help you.